I live and breathe agriculture. I’ve been described as a dynamic personality with a progressive approach. I combine being involved in farming organisations – locally to internationally – with hands-on life in a beef, cereals, Higher Level Stewardship and diversified family enterprise in Staffordshire. I thrive on that mix of challenges and opportunities. It’s why I decided on “standing up for our farming future” as candidate for Vice President of our NFU in 2018. I wish our new office holder team all the best with the tasks ahead. Of course I was disappointed not to be elected but it was a privilege to campaign, to talk with so many NFU members up and down the country. I want to continue to showcase my understanding of the issues of our time, and how we can find solutions. I am young. But I will not only be labelled as ‘the next generation’. I am this generation. Our latest developments include strip tillage crop establishment and an Anaerobic Digester to produce biogas from animal manures. We will also be selling CO2 for pharmaceutical and beverage industries. Building and maintaining a diversified and forward-thinking range of businesses is for us, as for many farms, what we do. 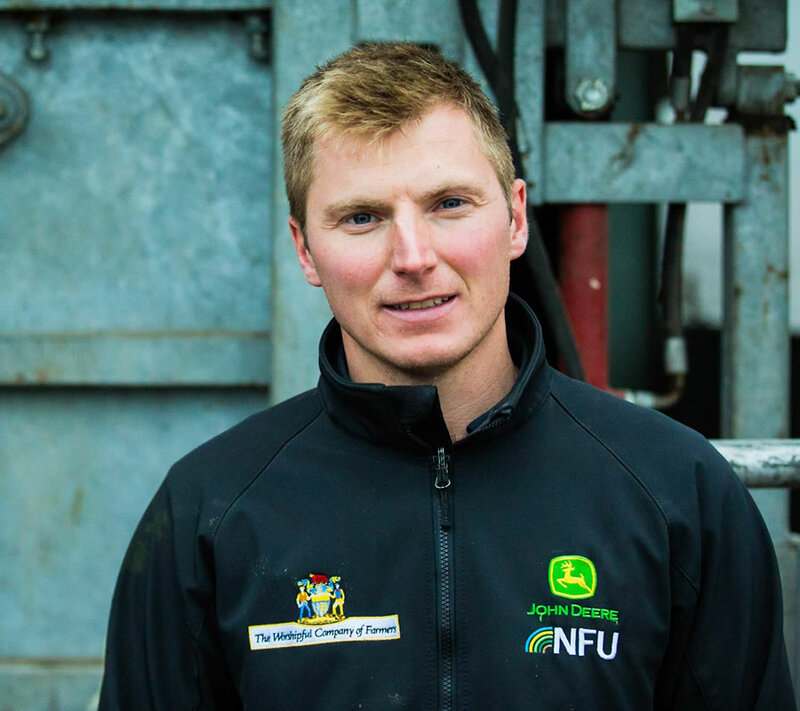 Wherever I am – in NFU meetings, in the halls of power in London or Brussels or out and about meeting other farmers – I am truly rooted in the reality of contemporary farming. This is what has given my campaign to be NFU Vice President in 2018 credibility and clarity. My background, my experience, my insight and my energy are a powerful combination. My ambition continues to grow – to contribute at home and to UK agriculture. An Agri-Food Marketing with Business Studies degree at Harper Adams University and Management Development Services (MDS) PGc in Food Marketing and Fresh Produce Management together with work in lots of different businesses in various parts of the UK gave me my grounding in realities and ambitions of contemporary farming. I value the positive power of collaboration and belong to the National Federation of Young Farmers Clubs (NFYFC) Agri Steering Group. I am a member of the European Council of Young Farmers (CEJA) and the World Farmer’s Organisation Future Leaders group. My involvement with the NFU began when I returned to the family farm in 2011. I believe we can control our destiny and shape UK agriculture to thrive. I take responsibility seriously and show strong, fair leadership. I step up to the plate in many ways (I chair the NFU Next Generation Policy Forum, am Mid Staffordshire NFU Branch Chairman, Staffordshire NFU County Vice Chairman). With my fresh and can-do manner, intelligence and reliability I bring energy, vision and a youthful strong collaborative approach to our NFU and to UK farming. It was great to feel the support and encouragement of farmers up and down the country when I campaigned for Vice President NFU in 2018.